The last time A Current Affair’s vintage pop-up shop was in town my schedule was too full to attend. 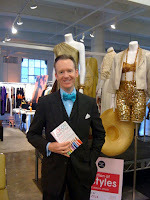 I was happy that I was free to make it to the third annual event held at the Cooper Design space. The current installment featured 25 vintage retailers and private dealers from L.A. and the surrounding areas. On hand was a vast assortment of jewelry, accessories, and, of course, clothing from vendors such as Alkemie Jewelry, Debutante Clothing, GlamAmor, Mercy Vintage, Reclaimed in LA, and Siren Vintage, to name a few. If you had something specific in mind I am sure you would have found it there. In fact, I came across two gorgeous capes from the 1920’s that were simply stunning. Of course, shopping is always more enjoyable with a cocktail in hand so drinks were provided courtesy of PAMA Pomegranate Liqueur, Izze Sparkling Juice, and Smart Water. 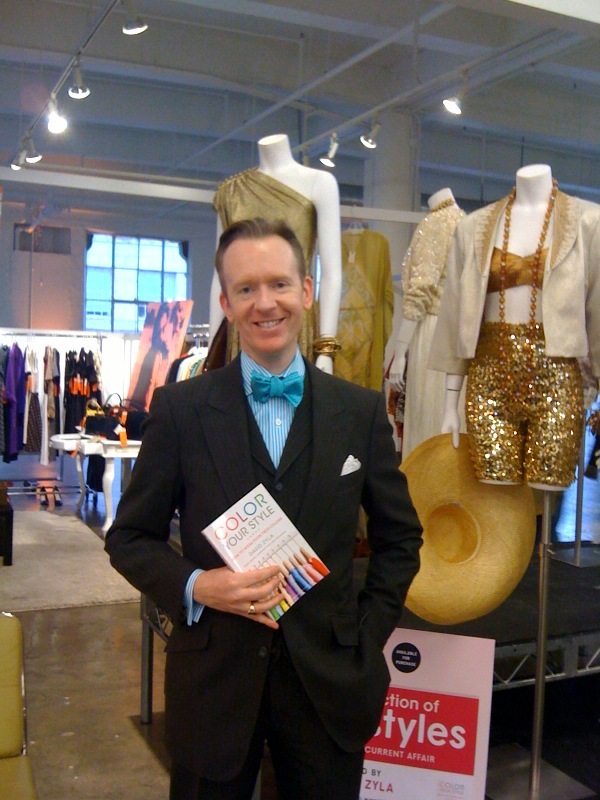 David Zyla (Emmy Award winning costume designer) was also on site to sign copies of his book The Color of Style. He also curated an exhibition of 10 vintage looks from clothes that he pulled from various vendors at the event. David was telling us how much fun he had going through all the vendors’ wares and when he found the perfect dress he styled the rest of the collection around that one piece. David was an absolute doll. His book is also quite interesting. The Color of Style is a how to guide on where to locate the colors that naturally occur on your body and how to incorporate those colors into your wardrobe. It teaches you how to pick colors that are flattering and avoid those that are not. All in all, it was a fun evening. If you missed it this time around we’ll be sure to let you know when the next one is.